Ecstasy, magic mushrooms, and acid. For decades, these drugs have been associated with the counterculture. 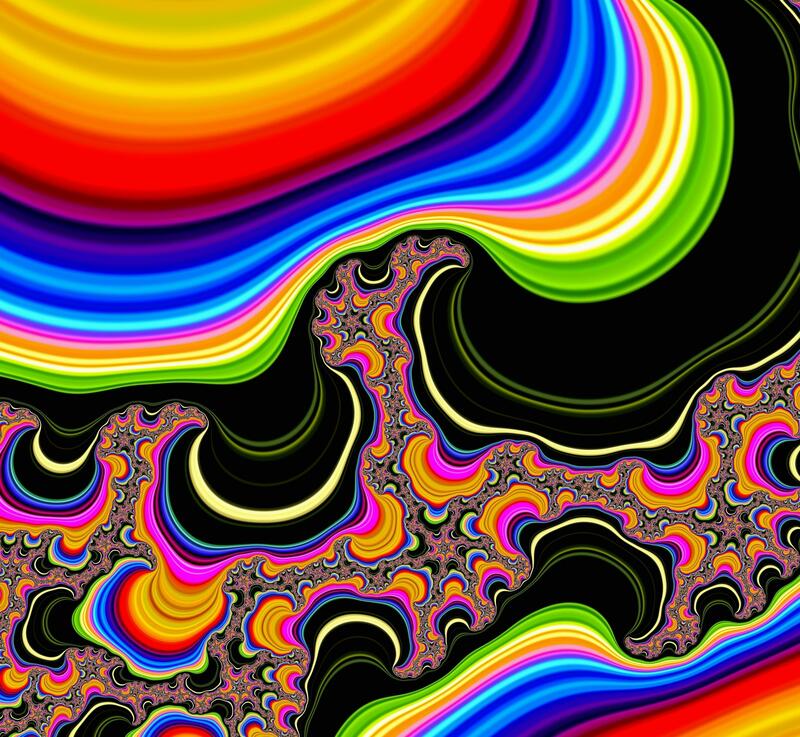 The 1960s, for example, saw the height of psychedelia, a time when acid and other psychedelics were used widely, and music and art were made to complement the user experience — trippy. Ken Kesey and his band of Merry Pranksters were the epitome of this experience, traveling across the country in their colorful school bus, hosting acid test parties along the way. Acid-laced Kool-Aid was had, scores of people tripped out, and Kesey and his band became famous, thanks in part to Tom Wolfe, who chronicled their journey in his book The Electric Kool-Aid Acid Test. Psychedelics have held this reputation for being used recreationally ever since. But that’s finally starting to change. A growing body of evidence is beginning to show that psychedelics have therapeutic potential beyond what pharmaceutically made prescription drugs can ever do. However, researchers are struggling to find funding, and only recently did they get federal approval to even test the drugs for safety and effectiveness. Why the difficulty? For one, most people still associate them with psychedelia, a culture that spoke louder than the few researchers at the time who saw their potential to help people with mental health conditions. Some researchers even contributed to this reputation, such as psychologists Timothy Leary and Richard Alpert, who started the Harvard Psilocybin Project in 1960. While its purpose was to discover magic mushroom’s effects on humans — the psychoactive chemical in shrooms is psilocybin — it was shut down after three years for, among other reasons, disregarding scientific research rules, administering the drugs to undergraduate students, and promoting their recreational use. Solidifying this stigma, however, was the Controlled Substances Act of 1970, which classified psilocybin mushrooms, acid (lysergic acid diethylamide, or LSD), and ecstasy (MDMA) as Schedule 1 substances. These substances have since been defined as having “no currently accepted medical use and a high potential for abuse." They're also considered “the most dangerous of all the drug schedules, with potentially severe psychological or physical dependence.” Such bold statements, and the restrictions that came with them, effectively killed whatever research was looking into their therapeutic use. However, it hasn’t been the legality of these drugs that has prevented research into their benefits. “Instead, it’s been the stigma and unwillingness of researchers and regulators to look at Schedule 1 drugs from a scientific perspective that has made funding difficult, and approvals so time-consuming,” Brad Burge, director of communications and marketing for the Multidisciplinary Association for Psychedelic Studies (MAPS), told Medical Daily. Erasing this stigma and pushing research forward is crucial to discovering new treatments for everything from post-traumatic stress disorder (PTSD) to heroin addiction to chronic anxiety. MAPS has worked since its founding in 1986 to push this vision forward, advancing slowly along the way. During a meeting with the non-profit organization in 1992, the Food and Drug Administration (FDA) decided that when it came to drug research and development, psychedelics would be treated like any other drug. But approval for its first study didn’t come until 2003. While that study was never completed, another one funded by the Heffter Research Institute and published in 2011, found that only a “modest” dose of psilocybin could lower patients’ trait anxiety levels — their innate tendency to feel anxious — past three months. And it only took two, six-hour sessions to achieve this result. During their sessions, patients were encouraged to lay in a bed for the entire time with their eyes closed and music playing. This ensured they were relaxed and minimized the possibility of a so-called “bad trip.” Although the researchers conceded a higher dose might have been more effective, the study was among the first to test the safety of psychedelic-assisted psychotherapy. Then last year, the first study in over 40 years to test LSD in a psychotherapeutic setting found that the drug, when administered with a psychologist on hand, could reduce anxiety by 20 percent — these effects persisted up until the 12-month follow-up. Studies have found psychedelics have the potential to treat other conditions, too. A study on the anesthetic ketamine, for example, found that overall, the drug seemed promising in treating heroin addiction -- although it's still too early to tell. And most recently, MAPS completed its first pilot study on MDMA-assisted psychotherapy in patients suffering from chronic, treatment-resistant PTSD for an average of 19 years. Over 83 percent of patients who received the MDMA treatment “no longer qualified for PTSD diagnosis after just two experimental sessions,” Burge said. “The long-term follow-up found that on average, those reductions were sustained over 3.5 years later.” MDMA causes feelings of euphoria, higher energy, emotional warmth, and empathy toward others. Psychedelic-assisted treatments would offer a solution to the one in 10 American adults who take antidepressants like Prozac and Paxil. It’s well known that antidepressants’ side effects, in a contradictory twist, sometimes include anxiety, depression, and suicidal thoughts. Meanwhile, some people won’t feel their effects at all — such as those in the PTSD study — while almost everyone else who uses them will have to take them regularly. Psychedelics, on the other hand, haven’t been associated with any sort of mental health problems and they’re generally considered non-addictive. Moreover, psychotherapy would only require a handful of sessions or less. So how is MAPS moving this research forward? Through donations, mainly. Ninety-three percent of its revenue last year came from about 40 individuals and family foundations, according to its Fiscal Year 2014 Financial Report. The rest came from smaller donations, all of which have contributed to an increase in funding from the year before. Adding to that, the non-profit organization just launched the MAPS Public Benefit Corporation (MPBC), a subsidiary intended to balance research costs with income generated from legal sales of MDMA — MAPS believes it’ll become an FDA-approved prescription treatment as soon as 2021 — as well as other psychedelics and marijuana. While this projection may be far-reaching (we can’t really tell), we should be doing all we can to encourage the research, because otherwise we’ll never know how helpful these drugs can be. If they turn out to benefit a large number of people, drug addicts, cancer patients, people with autism, and so many others will be able to get long-lasting help. Those who travel to other parts of the world to find ayahuasca and ibogaine, both of which are powerful plant-derived psychedelics, will also be able to get safe treatment under the supervision of a licensed health care provider, rather than shady doctors and shamans. The research must come first, though. And in order for that to happen, we need to stop associating MDMA with overdosing ravers, and LSD and mushrooms with out-of-touch hippies. It’s time we started seeing these drugs not as schedule 1 narcotics but as potentially powerful treatments with the science to (one day) back it up. After all, it was within the last century that both MDMA and LSD were produced with the intention of using them therapeutically. It’s high time we saw what they were good for. Correction: A previous version of this article incorrectly stated that the 2011 psilocybin/cancer anxiety study was sponsored by MAPS, when in fact it was sponsored by the Heffter Research Institute.